What is a physical or health disability? Physical and health disabilities arise from different conditions that restrict movement or require health care. Only a handful of students receive services because the disability must impact their learning or education to receive services. Only .09% of students with a physical disability receive services and only 1.38% of students with a health disability receive services. A long lasting condition that can be controlled but not cured. Can be passes from person to person. Sometimes can be cured, but not always. For children who have trouble holding onto things due to physical disabilities may need assistive devices. Using an adaptive keyboard, or pencils will allow them to write easier. For children that have physical disabilities who have trouble walking, and elevator would be helpful when their are multiple floors to the school. For children who have a health disability may miss some school for doctors appointments, therefore extending time on projects and classwork could be helpful for these students. Using the internet can allow for a child to keep up with the work that they are missing at school. The teacher can communicate with the student and the parents through email and social media if needed. It is very important for parents to try to stay involved in what the child is learning so that they can help their child with the material and ask the teachers questions and stay up to date. Students who miss a lot of class and need to rely on catching up through the internet may rely on the help of their parents. If a child with a physical disability has to use a wheelchair, then the parents can help their child practice moving around tighter areas and maneuvering in the wheel chair so that they feel more comfortable doing it at school. If a child has a physical or health disability, the parent and the child can brain storm a list of strategies or accommodations that might help them do better at school. Sharing this list with the teacher may create a mutual trust relationship. Therefore the teacher might try to incorporate the list into her teaching for that child to better accommodate them. The following website can be used in order to learn more about a physical disability. This website allows you to know how to distinguish what a physical disability is. On this website there are also helpful links and papers. The following website can be used in order to learn about different health disabilities. This website is a guide for parents to help their child who has a heath disability and learn more about it. 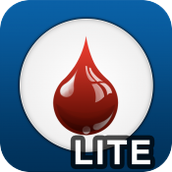 Diabetes Buddy Lite makes diabetes management simple to handle. It includes areas to track your daily carb intake, glucose, water intake and weight – all organized chronologically. You can log and monitor your glucose levels, your insulin injections and information about your activity level. The in depth tracking abilities and 200,000+ food database make it a useful app for those who are suffering with diabetes.